Elborough Almshouses, St.John Street, Rugby, 2018. 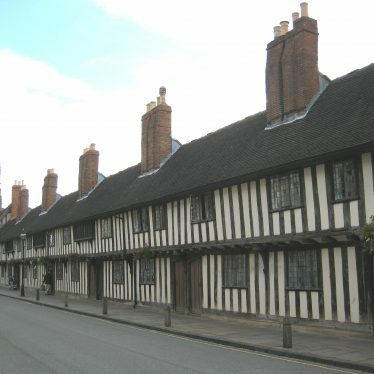 1 The original almshouses were in High Street but were pulled down to make way for the Town Hall (WA 3625). 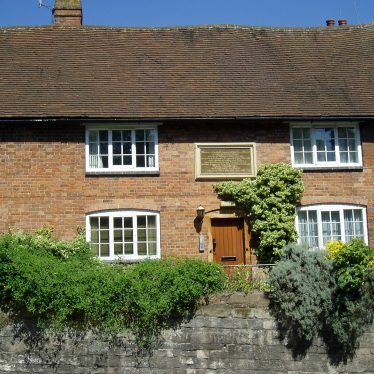 2 The present ones were built in 1885 and consist of a group of six similar redbrick cottages with black brick decoration, with a larger house at the east end of the block. In normal use. The site of a reservoir where water was stored during the Imperial period. It is marked on the Ordnance Survey map of 1886. The reservoir was situated 1km west of Rugby Station. The site of a Second World War gun emplacement. 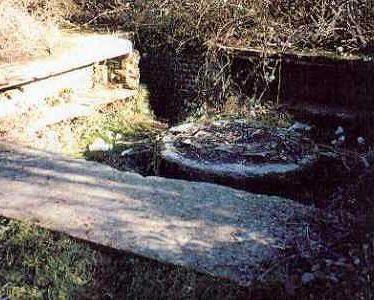 The remains comprise a circular concrete holdfort for a Bofors gun sited on top of a spoilheap next to the railway on the opposite side of the line to the Rugby Cement Works. A cottage, subsequently subdivided, and associated land was purchased with a bequest from the Birds for the poor of Rowington, in 1669. The cottage was condemned and demolished in the 1960s. The site of Butlins Almshouses, houses built during the Imperial period for poor people to live in. 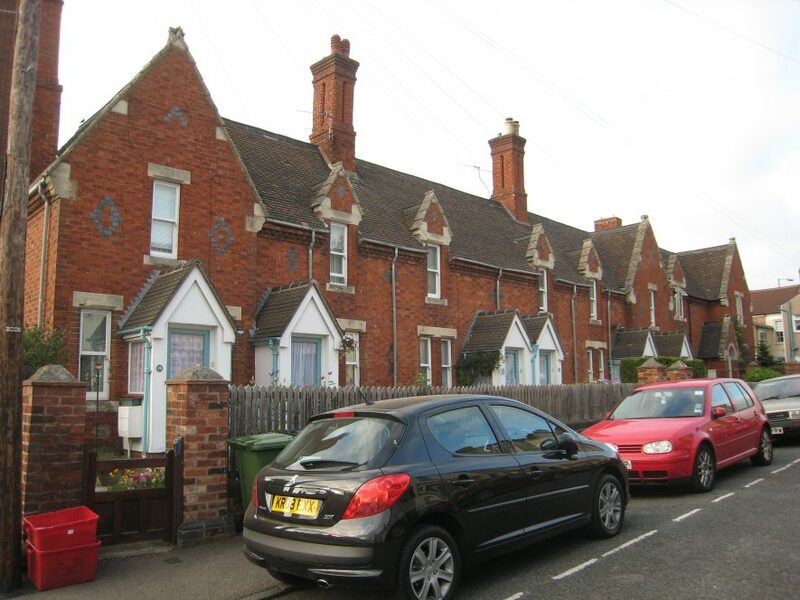 These almshouses were subsequently knocked down and replaced by new houses in 1905. 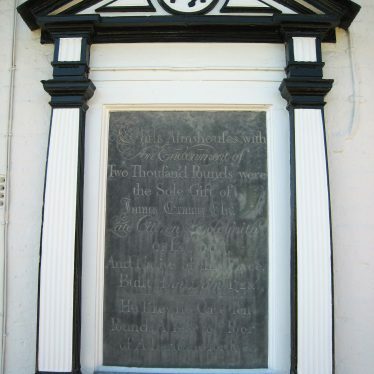 They are situated in Stephen Street, Rugby. 18th century almshouses located where Albert Street meets Saltisford, to the west of Saltisford Evangelical Church.